The LPT Series is based on the MIL-C-26482 Series I and Amphenol's original PT Series. Cost effective without sacrificing quality. 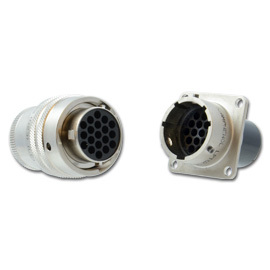 This series is a cylindrical bayonet connector constructed with an aluminum shell and features stamped and formed crimped contacts.